Dr. Leslie Crook grew up in the Quinte area. She attained a B.Sc. from Trent University, then graduated in 2001 from New York Chiropractic College. After spending a few years working in other offices, she took over the chiropractic clinic where she received treatment as a child and young adult. 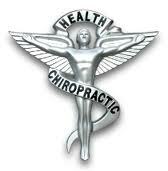 Dr. Crook strives to make every client feel safe and comfortable on their path to achieving optimal health. She will take the time to make sure each person understands every step of the process as it is unfolding. Please remember, you are in charge of your experience at the clinic. It is your body and your health. If you ever feel uncomfortable or nervous during your visit, or are just curious about something, please bring it up with Dr. Crook.